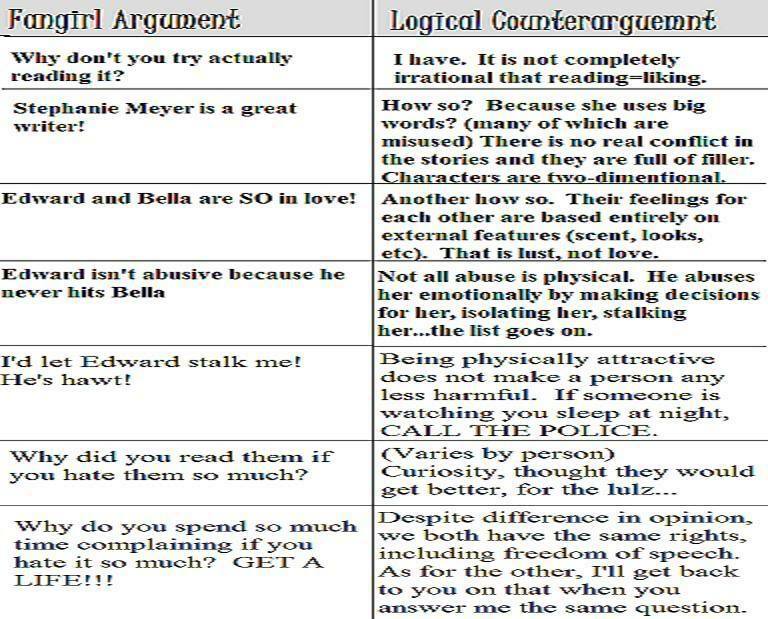 Twihard vs. Logic. . HD Wallpaper and background images in the Critical Analysis of Twilight club tagged: critical analysis twilight twihard logic anti. Also it was a little odd that he threw her straight into a PIANO to save her...after he already threw Jasper into a wall. I think much of these photos are funny, and I laughed hard at most of them... BUt this is just childish. 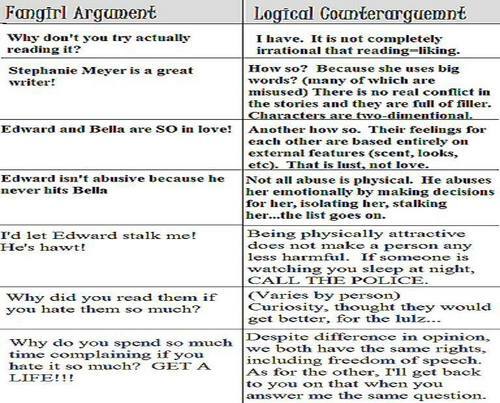 I think the Twilight-series are good, not more than that. But I mean... Funny is one thing, being mean is another. (Referring to the last "answer" on the photo). Ohh, I just LOVE logic! Imprinting was inspired da ducklings and dragons.